Krister started brewing a new batch of beer last weekend: a Russian Imperial Stout. The beer was part of a Christmas present from Krister’s parents, which came complete with all of the ingredients and a recipe. 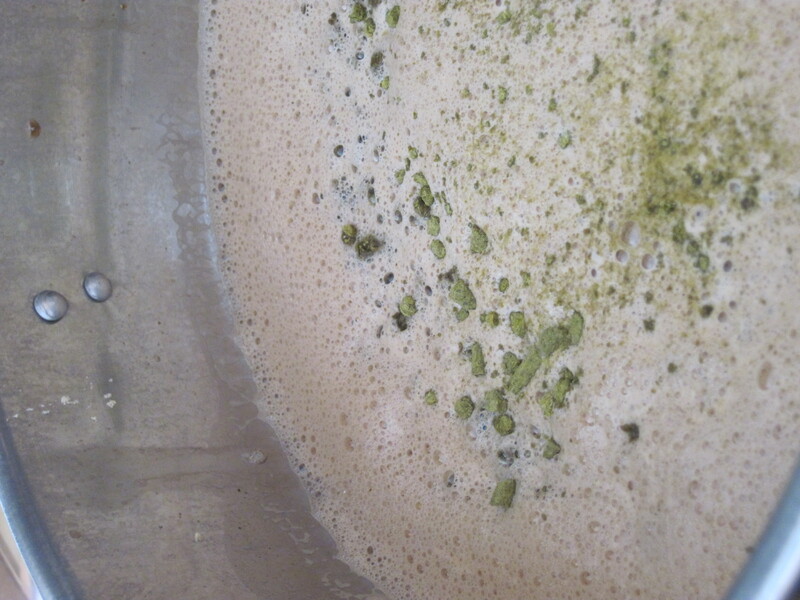 To make the beer, Krister needed three different types of malt, roasted barley, hops, yeast, and ten pounds of sugar! 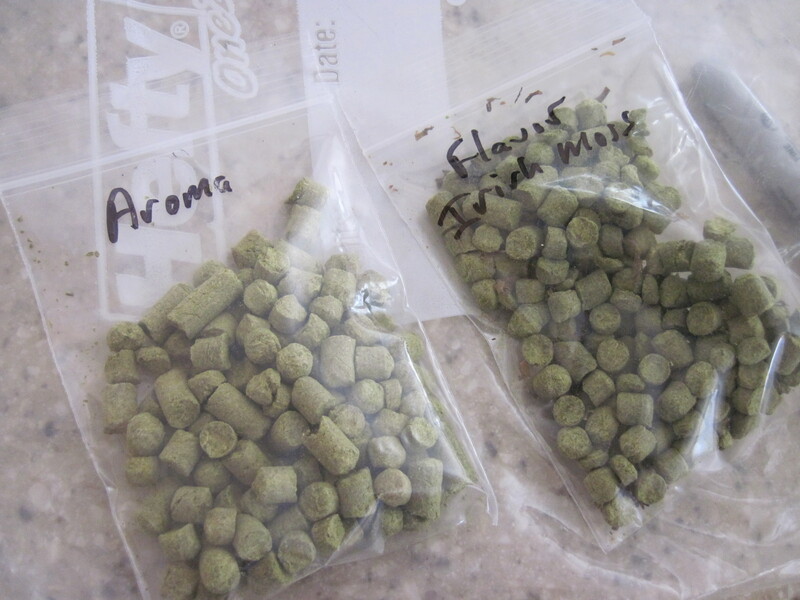 Hops came in several varieties too: a bittering hop, a flavor hop, a dry hop, and two aroma hops. Krister worked hard over the stove on Sunday, while simultaneously working on a presentation about isolating and characterizing circulating tumor cells in patients with prostate cancer. The ingredients needed to steep in a gallon of 150 degree water for thirty minutes. 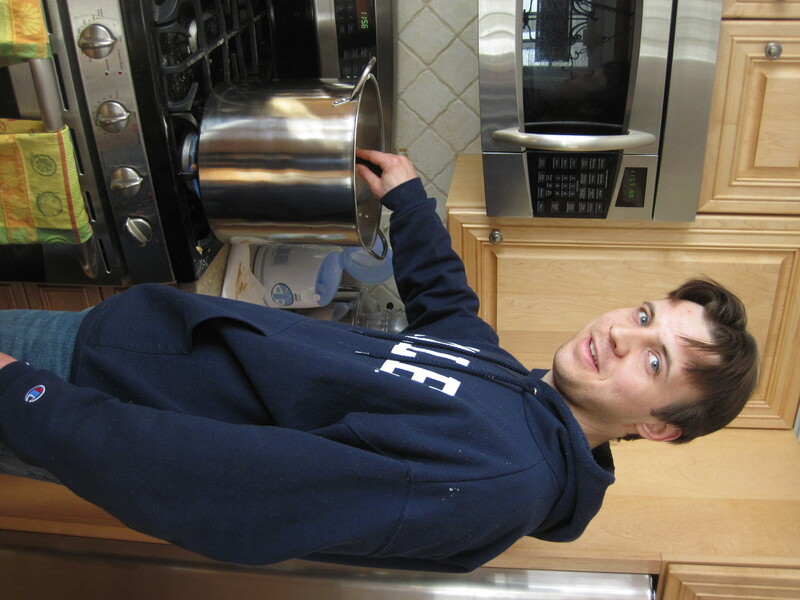 Then, he had to add two more gallons and boil the over-three-gallons for 45 minutes. The first step in brewing is done. The soon-to-be-beer is fermenting in our basement – every couple of minutes the jugs emit a loud gurgle to remind us that it’s still fermenting. The liquid needs to ferment for a couple weeks before it has converted enough sugar to alcohol. Then, it can be bottled. A few more weeks later, we can drink it!